If you’re interested in dabbling in some of the latest technology to give your nonprofit’s campaign a boost (raise awareness, donations, members, etc. ), you’ve come to the right place. 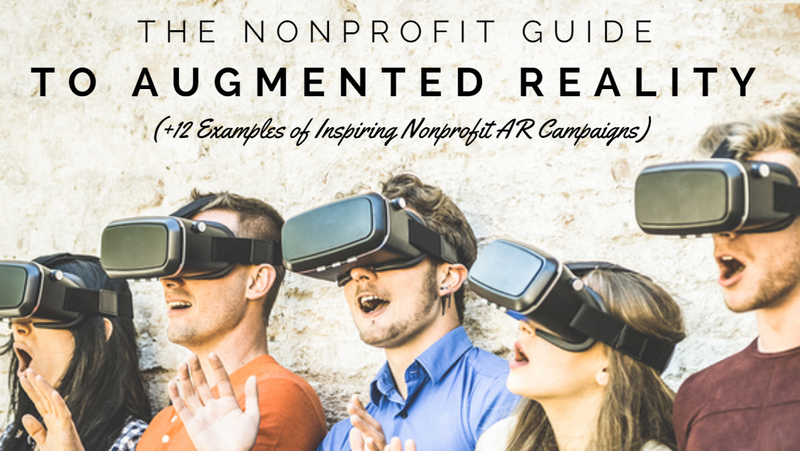 In this article, I’m going to cover everything you need to know about how to make a successful Augmented Reality nonprofit campaign plus 12 examples of nonprofits who’ve already found success. Simply put, Augmented Reality (AR) is the integration of virtual elements into the real world. Most AR tech is accessed through applications on smartphones and tablets using the device’s camera. 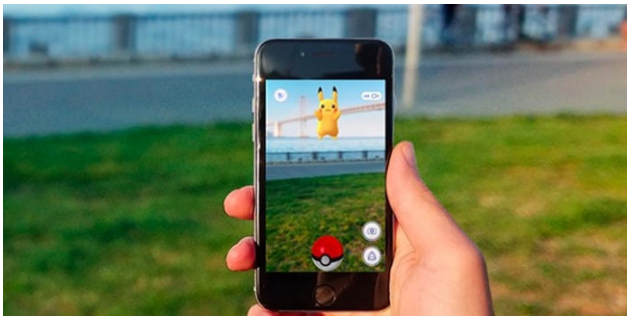 Games are the most common application, but many businesses are picking up AR too. In the example below, Ikea’s app allows tablet users to place virtual furniture into their homes to see how it looks. With AR, virtually anything can be placed in the real world, which has inspired some creative campaigns for social change. For example, artist Asad J. Malik placed hologram images of refugees from the Syrian war into various locations across the United States. Not many nonprofits have taken the leap into AR, but the few that have, have been met with success and lauded for their creative efforts. I’ll cover some examples of nonprofit AR campaigns in the following sections. The concept of Augmented Reality was first introduced in 1901, when author of The Wizard of Oz, L. Frank Baum suggested the idea of an electronic display overlayed onto real life. 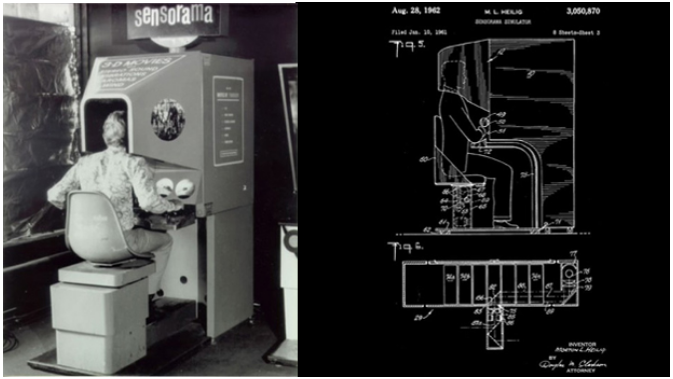 It wasn’t until 1957, that the first Augmented Reality simulation became a reality. Cinematographer Morton Heilig created the Sensorama, which gave its viewer the impression of riding a bike through Brooklyn, complete with a visual film, sound, wind, and aromas. 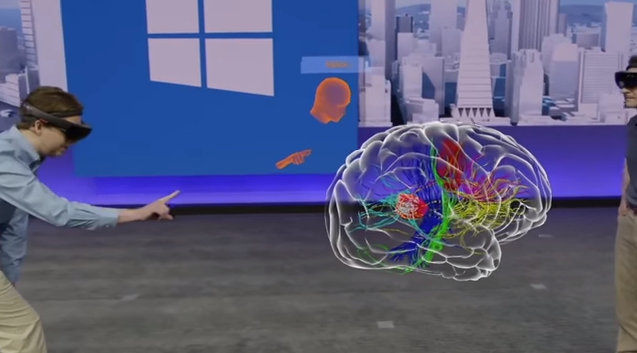 Today, Augmented Reality is integrating itself more and more into our everyday lives. Google Maps is an easy example to think of, where a person’s GPS location is simulated onto a smartphone showing a virtual map of the city. Looking forward, Augmented Reality will only play a bigger role in our lives — from helping us choose furniture before we buy it (like the Ikea app) to assisting doctors during life-saving operations. Perhaps the greatest area we’ll see Augmented Reality develop in the near future is in the advertising space. As AdAge suggests, Augmented Reality is expected to become a trillion dollar marketing opportunity, so it only makes sense for nonprofits to jump on this opportunity as well. Most people I’ve spoken with see Augmented Reality (AR) and Virtual Reality (VR) as the same thing, but there is a slight distinction. Augmented Reality is a type of Virtual Reality, but here’s the difference: Augmented Reality offers a blend of both real and virtual worlds, whereas Virtual Reality takes place 100% in a virtual world. For Augmented Reality, think of Pokemon Go’s app that places virtual Pokemon overtop real locations. 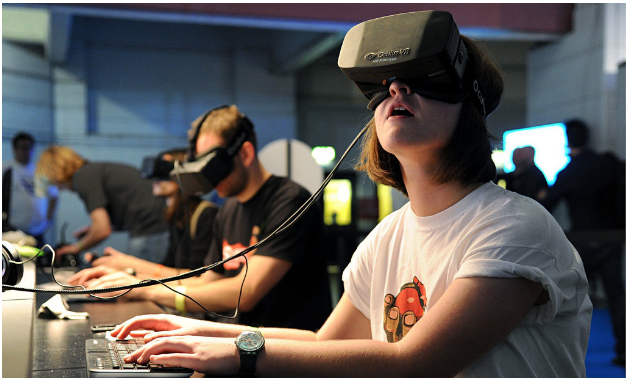 For Virtual Reality, think of someone wearing a VR headset, which blocks out all visual sense of the real world and immerses them in a virtual one. I’ve found examples of nonprofits using both AR and VR in their marketing campaigns, but before I get to them, I want to share the number one reason why they’ve been successful. The nonprofits who understand the true purpose of Augmented Reality are seeing great success. Here’s why: Augmented Reality exists because it lets people experience extraordinary things in their everyday lives — things that are impossible, or very hard to achieve otherwise. In the Gif below, a cartoon rainbow appears in a SnapChat video above picnickers — something that isn’t physically possible in real life. When nonprofits use Augmented Reality to create an experience that helps someone see the world in a different way — a world that’s tied to their mission — that’s when they inspire people to act. One nonprofit that’s done this well is Pencils of Promise. Pencils of Promise builds schools in Ghana, Guatemala, Loas, and Nicaragua. They wanted to increase donations at an upcoming gala and decided to try a VR experience to encourage attendees to give. They knew if they could show attendees what it was like to go to school in a developing nation, it could create an unparalleled emotional connection that may inspire more donations. So, at their gala, they gave attendees VR headsets that virtually transported them to a school in Toklokpo, Ghana. Here’s their VR video below. Click play and you’ll be allowed to virtually travel around the classroom by dragging your mouse across the screen. The results were astounding. The Virtual Reality experience helped Pencils of Promise raise $1.9 million at their gala, much more than anticipated. Plus, the video was viewed nearly two million times on their Facebook Page, greatly increasing awareness of their program. In the same light, nonprofits around the world — from big to small — are creating Augmented and Virtual Reality experiences to inspire more action to their causes. Here are 12 more examples that may inspire your nonprofit to create an Augmented Reality campaign. Here are 12 examples of nonprofits using AR and VR to raise money and awareness. If you know of any others, please add them to the comments. 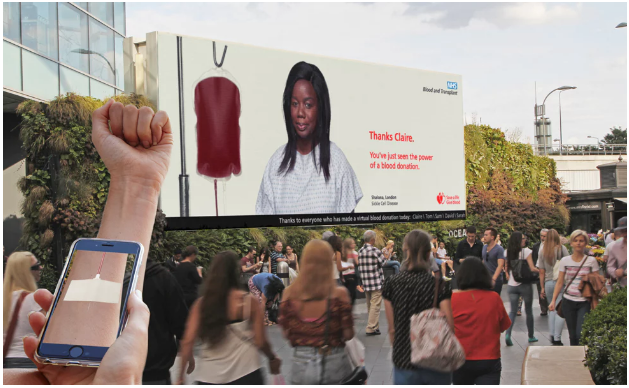 The National Health Service (NHS) created a billboard showing a patient needing blood donations. Pedestrians were given stickers to put on their arms, and when they hovered a smartphone over the sticker, it showed them donating blood. The billboard then showed the patient getting better and personally thanking the donor. 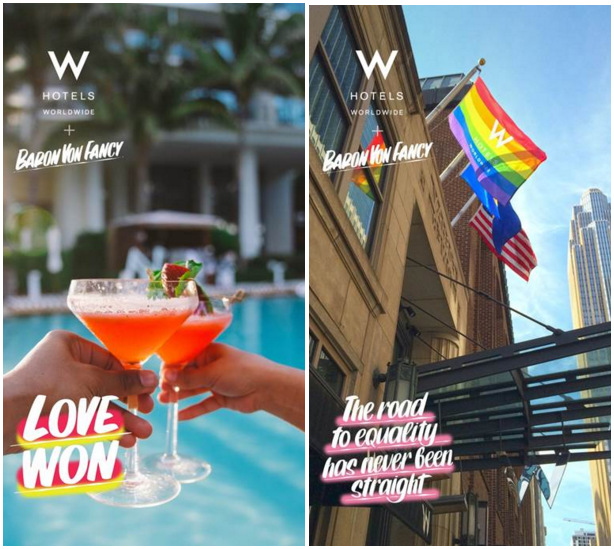 Artist Baron Von Fancy partnered with W Hotels to create a Snapchat filter that promoted the Hotel chain during Pride Month. Every time the filter was used, W Hotels donated $1 to the Human Rights Campaign (HRC). 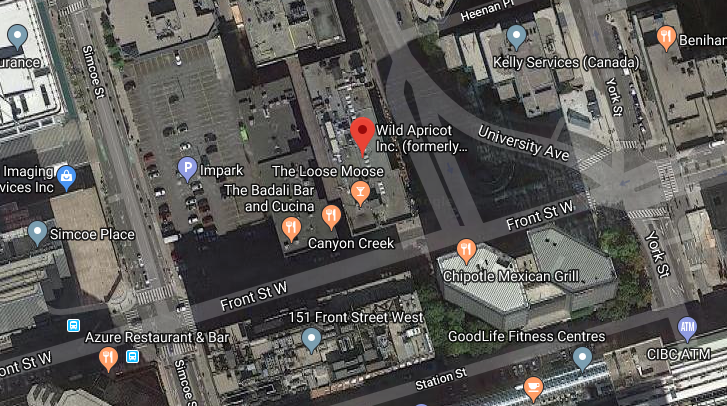 By the end of the month, the filters were used 19,893 times and W Hotels donated the same amount to the Human Rights Campaign — a win in awareness for Pride, HRC, and W Hotes. 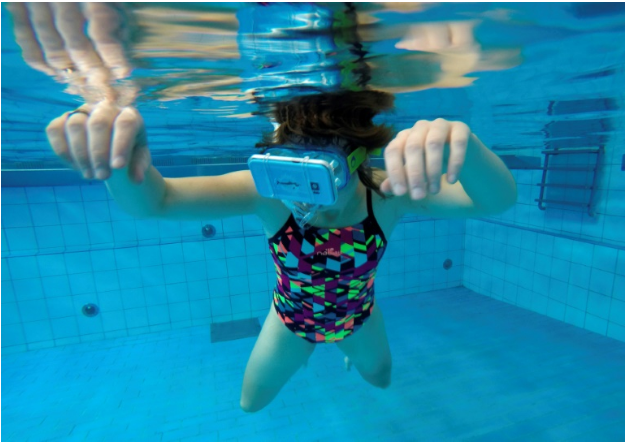 A dutch nonprofit called The Dolphin Swim Club uses underwater VR goggles to allow people with disabilities to virtually swim with dolphins in their community pool as a form of therapy. 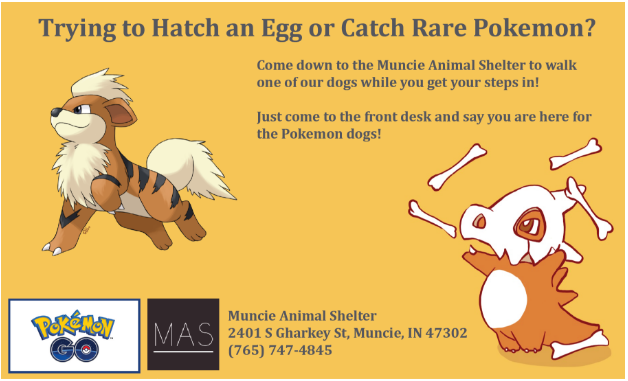 The Muncie Animal Care Shelter in Indiana jumped on the hype of Pokemon Go and allowed Pokemon Go players to walk their dogs while they played the game. Overall, the campaign ended in six dogs getting adopted. A number of museums are implementing Augmented Reality to show museum visitors more information about the exhibits. Visitors can download an app and hold their phone or tablet up to an exhibit to receive more information about it. Here’s an example of a life-sized 3D model of a gladiator school being augmented onto a field (see the GIF below). The Hydrous, a nonprofit with a mission to create open access oceans, uses Virtual Reality to allow people to experience their ocean excursions. 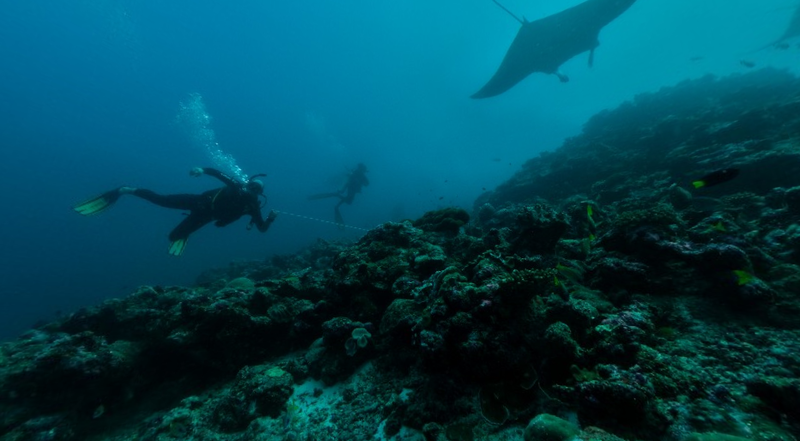 Viewers can see what it’s like to dive and interact with marine life. The Hydrous also partnered with Google to make their dives accessible through Google Earth. Paper Triangles teamed up with Los Angeles Industry Gallery to create a unique augmented reality experience for gallery visitors with proceeds going to The Hydrous nonprofit. The exhibit used realtime tweets to create or destroy an augmented coral reef with fish swimming around. Tweets with hashtags like #recylcing or #conservation made the reef thrive, while tweets with hashtags like #sushi or #coffee, created trash in the reef, destroying it. The Consumer Technology Association (CTA) created an augmented reality scavenger hunt at one of their conferences to encourage conference attendees to visit more exhibits. They placed a number of beacons (short range, low-energy transmitters, which cost about $20 each) around their showroom. Attendees who downloaded their app competed to become one of the first three players to collect all the beacon badges to win a digital camera. In Buenos Aires, the city government offered pedestrians a chance to play an AR game to help increase recycling awareness. The game projected people walking by onto a huge screen and, if they faced the screen, a giant yellow recycling bin appeared on their heads. They were then challenged to “catch” recyclables falling from sky into their recycling bins. The game promoted the city’s initiative to become waste free. The Royal Opera House created a VR video to allow people to experience The Nutcracker behind the scenes and watch dancers practicing, sets being built, and what it’s like backstage. After the VR video was published, it received over 3,000 likes on Facebook and over 230,000 views on YouTube. Charity: Water created an immersive 360 video of what it’s like for a 13 year old girl to make the trek to get water for her family. The video was shared at their gala and inspired attendees to give nearly $2.5 million. 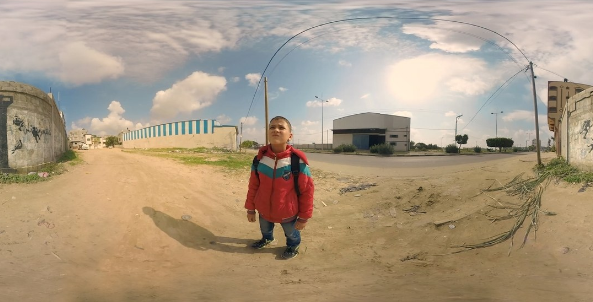 The United Nations created a VR film about a Syrian refugee in Jordan. They showed the video to donors at a fundraising conference and nearly doubled the amount of donations they expected to $3.8 billion. You can experience the VR film here. 5 Ways to Create an Augmented Reality Campaign for Your Nonprofit. If you’d like to explore creating an AR or VR campaign for your nonprofit, you will need some technical skills and investment. Fortunately, there are companies making it easier and cheaper to create AR experiences every day. Do you have a conference you’d like more attendee engagement at? A fundraising campaign happening in your city? How about a fun-run? If so, Geofilters are an excellent tool that can engage your supporters to a new level (plus they’re super shareable). A Geofilter is simply a custom-made filter based on a smartphone user’s geographic location. One of the best things about Snapchat Geofilters is that they're fairly inexpensive to buy, at around $5 per 20,000 square feet (that likely covers the geography of your next event). If you’d like to create a Geofilter for Snapchat, start on their website here. If you need help, talk to Geofilter Studio. They’ve build over 30,000 geofilters for organizations around the world. 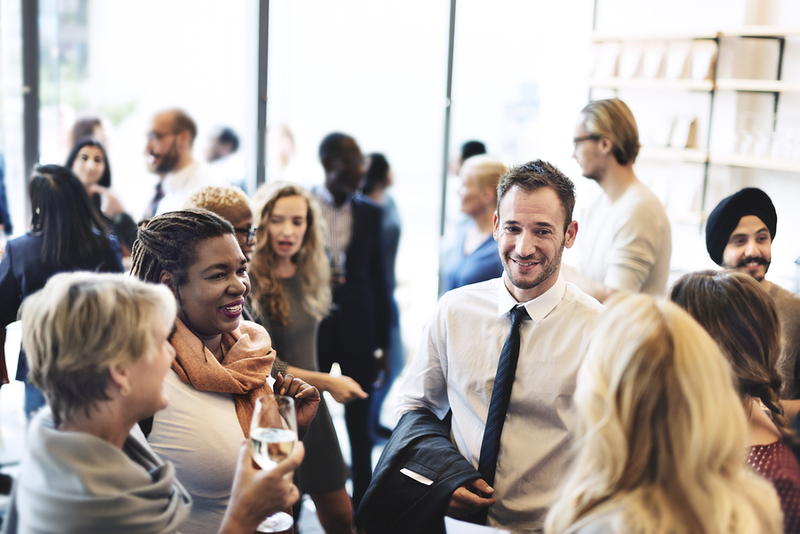 If you’d like to incentivise your conference attendees to visit more booths in your showroom, or simply create some friendly competition, a scavenger hunt can be a great way to go. Simply place beacons (small transmitting devices) around various locations at your conference, and get your attendees to download an app that can find them. One app that makes this easy is Topi’s conference app which can allow you to set everything up (you will still need to get beacons). If you’ve got a great videographer on hand, talk to them about creating a 360 degree video (like Pencils of Promise did), which your supporters can experience. If you don’t have the proper equipment, you can buy the Samsung Gear 360, which costs about $350 to record everything. Then, once you have your video, simply upload it to YouTube. Here’s an easy tutorial on the whole process. If you’ve got a great idea for your own AR experience, like NHS’s blood donation campaign, you might consider building your own customized AR app. To get started, get in touch with ZapWorks, who can help you set everything up. If you have some technical expertise, you can build an App for the iPhone using Apple’s ARKit. Here’s a simple tutorial on how to do this. I hope these examples have sparked some ideas for you to use at your nonprofit. Best of luck with your AR campaign!